The People's University of Social Solidarity Economy was established in Thessaloniki in February 2013 by PROSKALO (Cooperation Initiative for the Social and Solidarity Economy) and until 2017 it operated as an informal collaborative collectivity, relatively autonomous from PROSKALO. On April 25, 2017, the founding assembly was established, which created the social non-profit cooperative "People's University of Social Solidarity Economy" with the distinctive title "UnivSSE Coop". 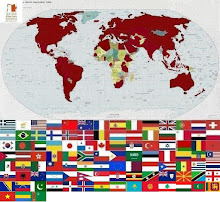 The aim of the Cooperative is to provide education, training, information, popularization, research, studies, programs, publications, support services, development of educational and social networks in the fields of social and solidarity economy (SSE), self-governance, direct democracy, commons, aiming at collective and social benefits and social innovation. The Cooperative operates on the basis of the ideas of the Social and Solidarity Economy and Direct Democracy, as these are highlighted by the relevant global movements, as well as the International Cooperative Values and Principles as they were adopted internationally. It is addressed to the people involved in all kinds of social solidarity economy collectives, but also to any interested citizen. It is based on the dual nature of cooperatives: Social - Economic and consequently the dual nature of cooperative education: Ideological – Financial/Technical. Cornerstone is the constant interaction between theory and practice because "it is not enough for thought to strive for realization, reality must itself strive towards thought." Seminar lectures-discussions attended by more than 400 people and videotaped and posted on a YouTube channel of the UnivSSE Coop. 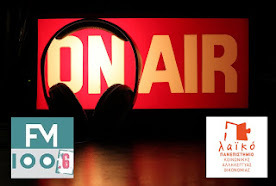 Βroadcasts in FM 100,6 Thessaloniki Municipal Radio, recorded and posted on a channel of the UnivSSE Coop in Mixcloud. Videographed lectures and recorded shows are constantly heard (from all over Greece) and have exceeded 20.000 views and hearings. 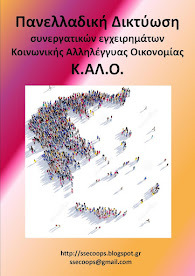 UnivSSE Coop has launched a program for the publication of key books on SSE and commons issues, based on the priorities and needs arising from the development of relevant collectives in Greece. 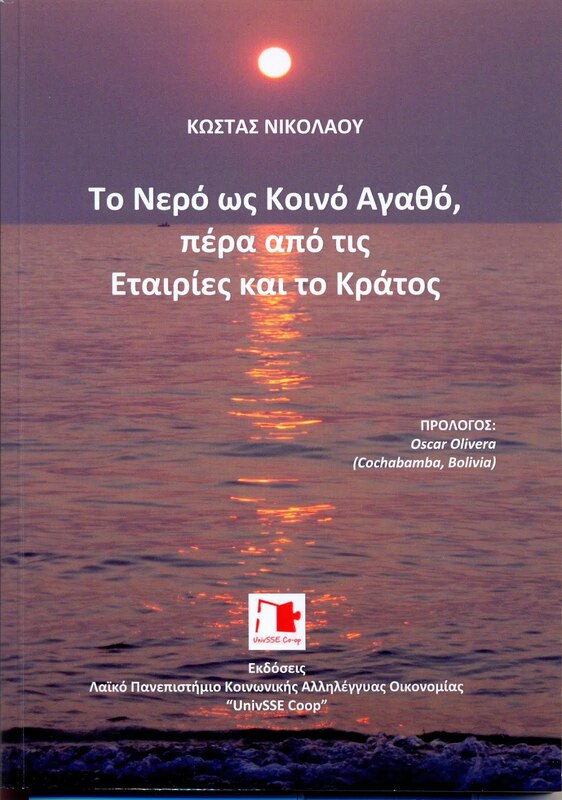 The first edition was made with the book "Water as a Common Good, Beyond the Corporations and the State", 2017. In this framework, a project regarding a Dictionary on basic concepts of cooperatives and SSE is in progress. • Co-organizer of the 2nd International Forum on Cooperative Law, Athens (2018). • The Balkan Botanical Garden of Kroussia of the Institute of Genetic Improvement and Plant Genetic Resources of the Hellenic Agricultural Organization "Dimitra" - ELGO DIMITRA. • The Municipality of Thessaloniki by participating in the SSE cooperative consortium for the creation of a Center for Recycling, Education and Sorting at the source in Thessaloniki.